Having a pergola is always a poignant idea for any home. They help create a distinguished, dramatic, and beautiful outdoor living space. You can enhance the effects of your pergola by adding lighting options to the structure, creating a space where you and your guests can spend evenings together. Lighting for your pergola should be an important consideration when you are creating the outdoor oasis of your dreams. Here are some amazing pergola lighting ideas to brighten up and enhance your outdoor space. Another fanatic way to illuminate your pergola is to add small built-in lights. These will provide the structure with background lighting and make it look stunning. You can choose from quite a few different types of built-in lights – install large fixtures at the pergola’s corners or place smaller fixtures with small bulbs at intervals across each of the structure’s beams. You can run the wire along the tops of the beams where it will not be as visible. Built-in lights are ideal for pergolas that are attached to a house as they allow for easier, discreet wiring. It is common to string bright white lights in people’s outdoors – from trees to step railings. 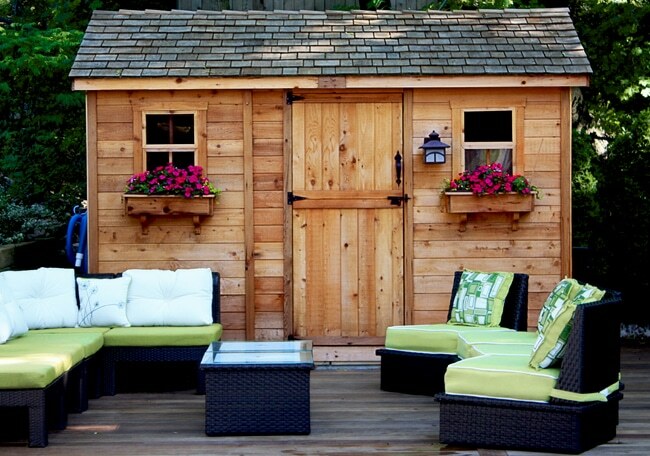 You can take this idea and make your outdoor space look bright and beautiful all year round. String lovely white lights throughout your pergola’s beams and create a cozy and dreamy atmosphere. This is one of the best lighting ideas for free-standing pergolas that have electrical outlets close to them or have outlets that are built in to the structure. Stringing lights is yet another popular methods used by designers to add lighting to a pergola. If you want to add a unique style to your pergola design, you cannot go wrong with hanging lights. Whether your structure is small or large, hanging lights provide the illumination you are looking for while still looking refined, stylish, and finished. You can use small fixtures and install them in clusters. This is a marvelous idea since it keeps the lighting soft and you can be sure that it will create a wonderful ambiance. On the other hand, larger fixtures are best for cozy outdoor dining areas. Built-in lights and hanging lights are best for pergolas that have easy access to electricity and can be discreetly wired. Mounted light fixtures can be used as guiding lights leading to the pergola, and they can also give dim lighting around the structure. You can mount them on posts that support the pergola. You will find a wide range of styles and designs that can match and easily blend your pergola and outdoor space with your home design. Whether you like traditional, modern or eclectic, you will find the perfect lamp for your structure. There is one important thing you need to keep in mind – mounted light fixtures are a little more difficult to wire after the pergola is built, so take precautionary measures when you begin the installation process so that you avoid such setbacks. As the name suggests, you attach lights to the bottom of pergola stands. You can either install them in the ground under the pergola or the flooring of the structure. In most cases, this type of lighting is usually soft, dim, and naturally appealing. It takes some effort to install up-lighting so you may want to call a professional to handle the job. You will find that it is all worth it as this type of lighting creates a breathtaking aesthetic in a warm, relaxing atmosphere that is designed to extend the time you spend in your pergola after the sun sets. Who wants to have super bright lights blasting down on them? That is like being tortured. There have been some movies where this is illustrated. When it comes to lighting for your pergola, there are many fabulous ideas that you can consider. The best way to decide which one is ideal for you is to consider the functionality of the structure. Will you be using your pergola to relax and unwind after a long day at work or will you be using it more to entertain family and friends? Everybody is different. Your dog or cat or both may enjoy sleeping and napping in the pergola too! You may find it a little difficult to choose the type of ambiance, but remember not to limit yourself – perhaps combining two or three different kinds of lighting solutions will provide you the flexibility you are looking for. Always keep in mind that you should make sure that pergola lighting is not an afterthought and it is an important part of the design process that helps in ensuring beautiful evenings in your favorite outdoor spot. With so many great pergola lighting ideas, you can be sure that you will find the perfect one for your outdoor structure. Adding lights will transform your pergola and help create an outdoor living space that is not only beautiful but functional as well. So pick one of these amazing lighting ideas and illuminate your pergola.